Michigan’s highways are traveled by all types of vehicle. Although they are mainly used by passenger vehicles like cars and SUVs, commercial trucks, buses, and motorcycles also travel thousands of miles on these highways every day. Knowing how to safely share the road with every type of vehicle is key to reducing your chance of being injured in a collision. If you are involved in a truck accident, you can suffer severe, even life-altering injuries. Educate yourself about these injuries and how large trucks operate to reduce your chance of becoming a victim. These injuries can lead to other conditions, not all of which are physical. Truck accident victims can suffer mental health problems, too, like anxiety or depression because of their accidents. They can also suffer permanent disabilities like paralysis and blindness. Victims can seek compensation for these damages as well as damages related to physical injuries. There are many ways a truck accident can differ from a car accident. Although they can have the same causes, like drunk driving and vehicle malfunction, there are also specific types of accident that are unique to trucks, like jackknifing and overloaded trailers becoming detached. The results of a truck accident can also be far more severe than those of a car accident because of a commercial truck’s size and power. In Michigan, drivers are required to carry personal injury protection (PIP) coverage as part of their automobile insurance policies. With this type of coverage, an injured driver can receive compensation for his or her damages from his or her own insurance provider, rather than the at-fault driver’s provider. But when the victim suffers a severe injury or permanent disfigurement, he or she can seek compensation from the negligent driver’s insurance provider. In this type of case, the victim must demonstrate that the other driver’s negligence directly caused his or her injury and resulting financial damages through evidence like photographs of the accident and the official police report. A victim’s lawyer can help him or her obtain and effectively use these and other pieces of evidence, like testimony from an expert witness. When you file a claim to seek compensation for your injury damages, whether it is a PIP claim or a personal injury claim against an at-fault driver’s insurance policy, it is in your best interest to work with an experienced truck accident lawyer. 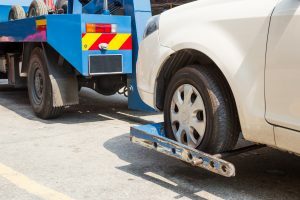 Lawyers with this specific type of experience can help you navigate the nuances of pursuing compensation for your damages after a collision with a truck. Schedule your free legal consultation with our team at Nickola Law today.